Three hour session with a lovely model Rhia. No measuring, or rules… just finding my way through the shadows and lights, just like a landscape. Lots of squinting and correcting: lighter, darker, warmer, cooler. Attempt no. 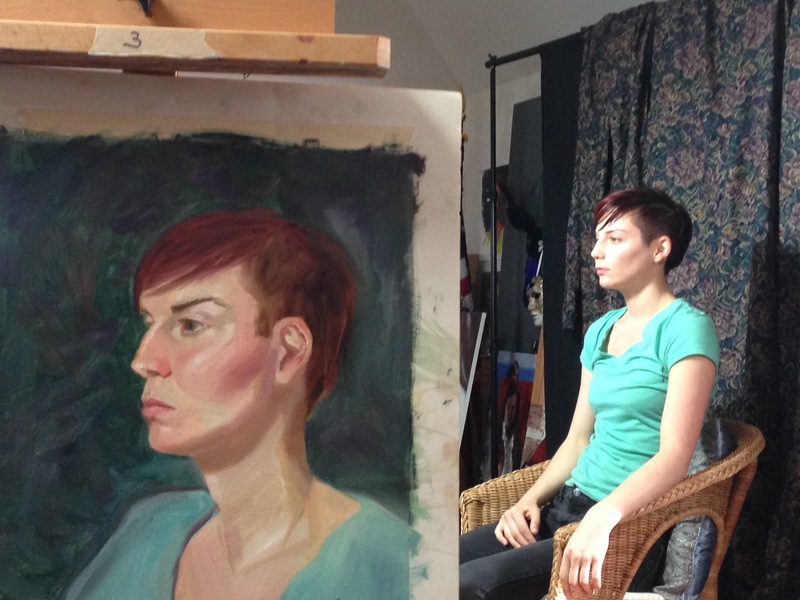 3 painting a portrait from life in oils went much smoother than the first two. Practice works. Now…who wants to sit still for 3 hours? 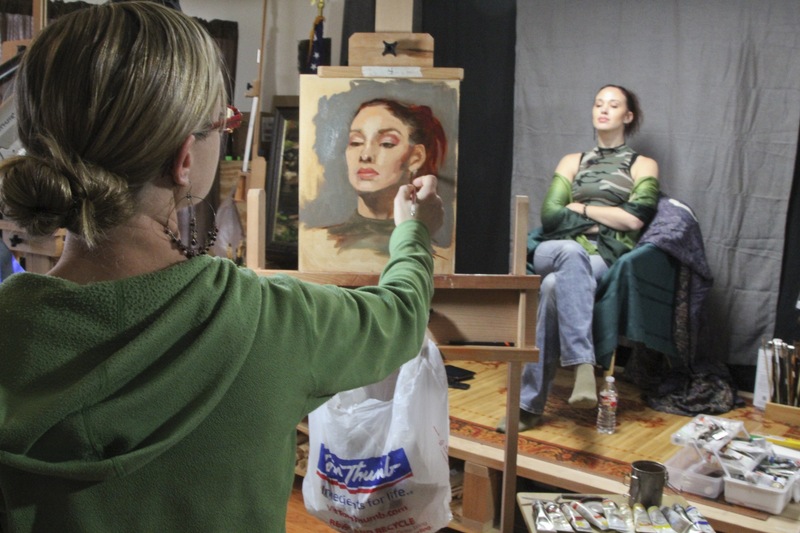 I am enjoying the challenge of painting people from life. 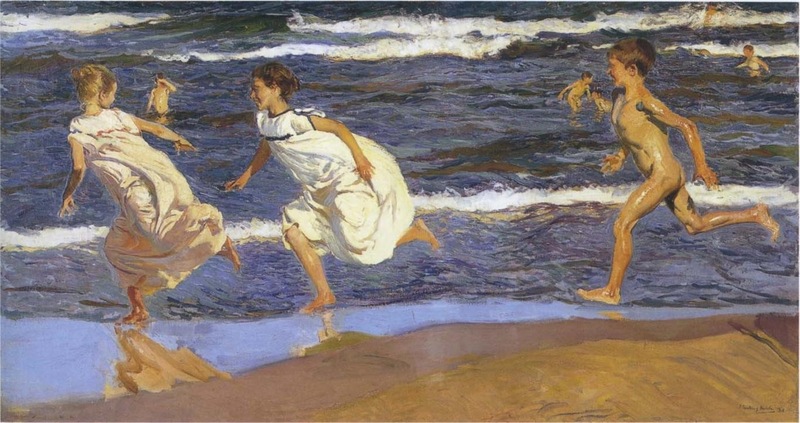 Today I visited the Sorolla exhibit at the Meadows Museum. It was outstanding, somehow he painted huge (9×10 feet sometimes), outside with many people, and often waves in them. I don’t know much about his method, but I plan to learn. I am utterly inspired. 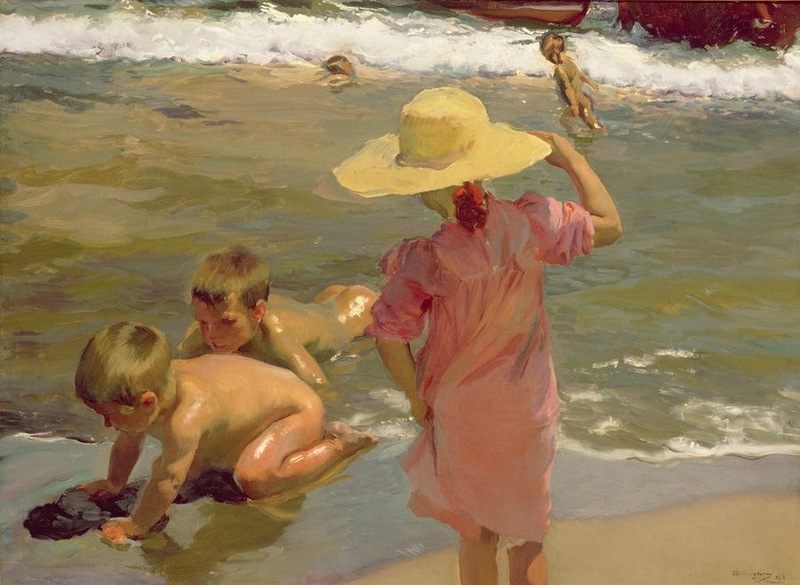 If you don’t know his work google: Joaquín Sorolla y Bastida and look at the images, or better yet…head to Dallas before April and see the largest collection of his works gathered together in the last 100 years. The Meadows museum is on the SMU campus. I wandered the exhibit with a group of artists, and we had a special appreciate for his work, his brushstroke, color, and paint application. Perhaps I will tackle one of those monumental paintings one day. I love the way everything glows rose as the sun is setting. 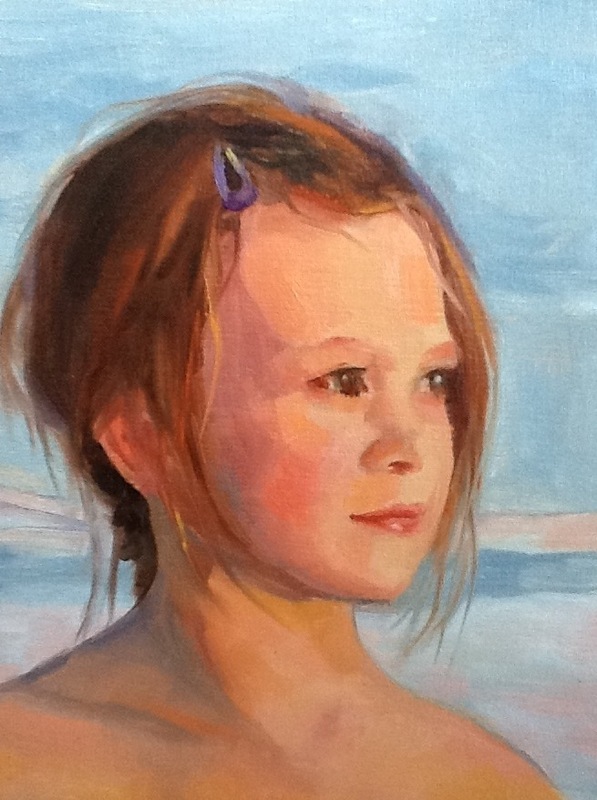 This painting was done from a photo under the skillful eye of artist Anna Rose Bain. 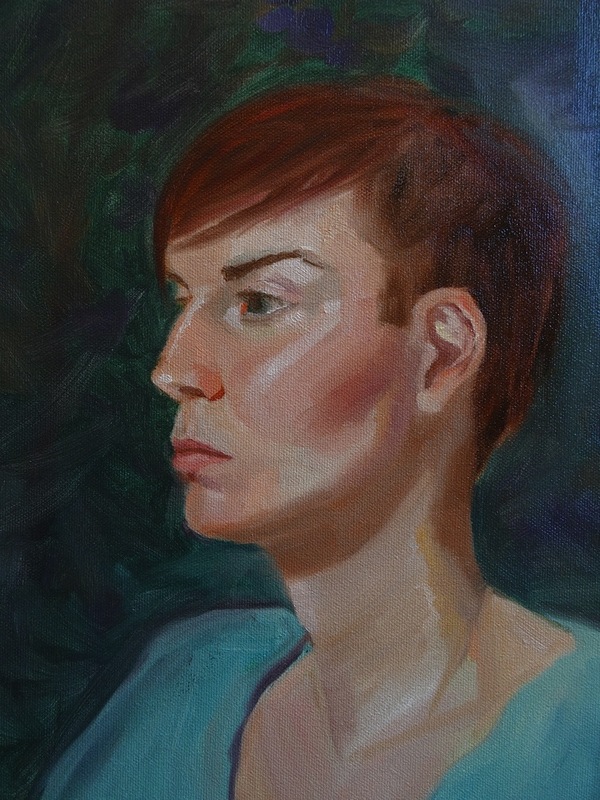 I getting more comfortable with portraits and oils with each try. Thank you Rick, for encouraging me to keep trying. 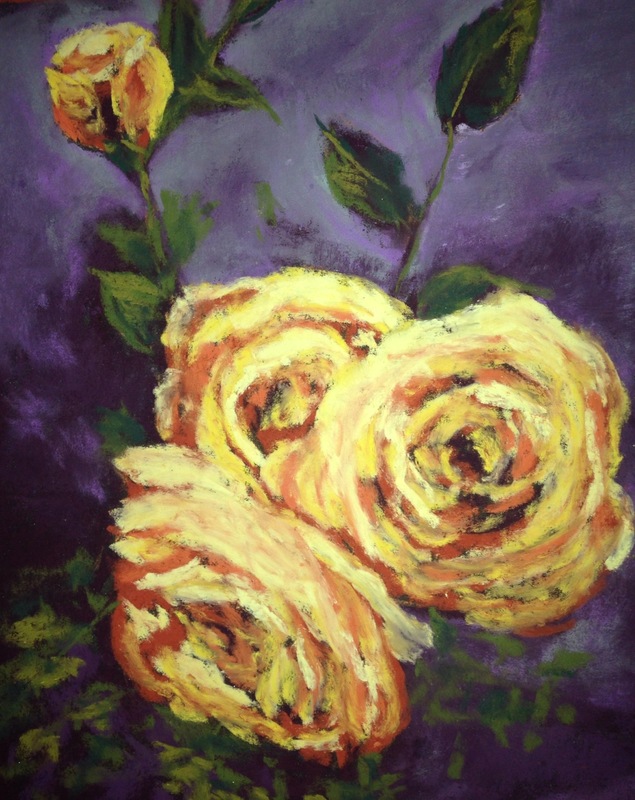 I am glad I worked through the boredom of the same subject, because I learned a lot about painting flowers over the last couple weeks. It was fun to play with the background colors, and abstracting the very close up shapes. 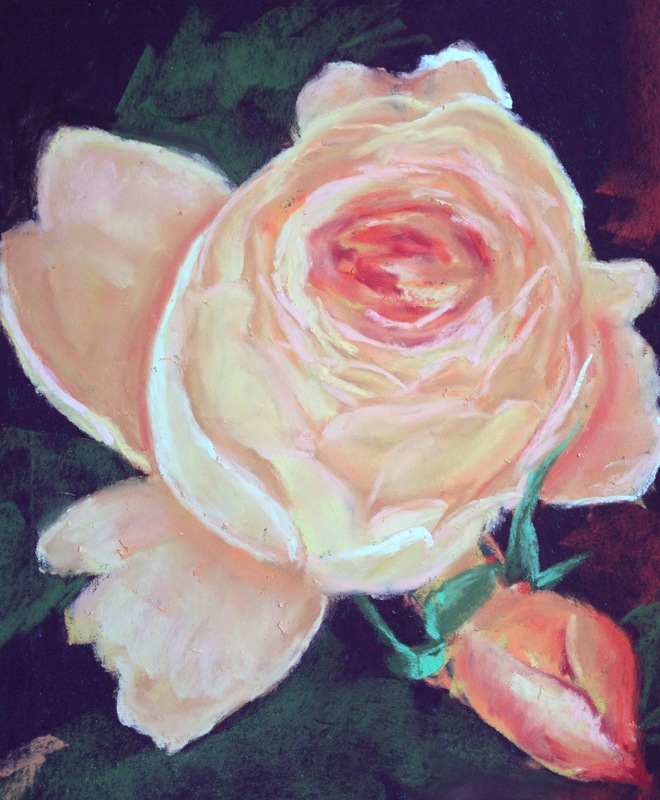 This was better before I “finished it.” No back button on a pastel painting. Not quite yellow, not quite peach. Fully lovely. Last day for the 72 hour flower sale. Growing up there were two families on our street who had three girls. My mom has two sisters. I am grateful that all of my sisters have grown out of close friendships, for all three sets of sisters I knew as a child “fought like cats” as my mom would say. You have two more days left in the Valentines flower sale! 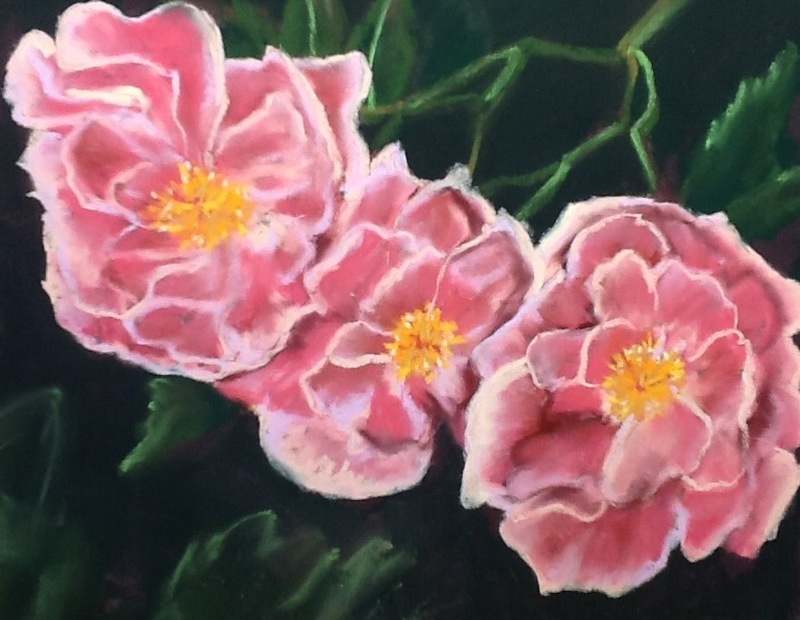 I have a dozen original flowers that I have painted and are ready to ship. There is only one of each, so shop early if you have a favorite. 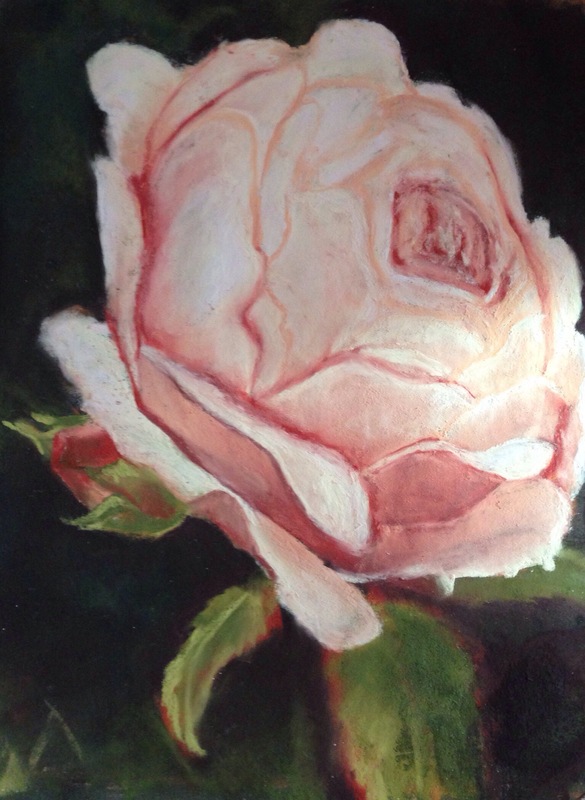 Each painting is $100 and includes free shipping within in the US. 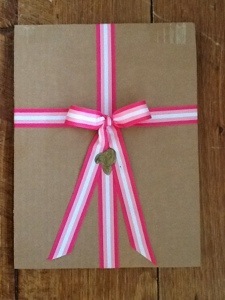 They will be beautifully packaged and will arrive in plenty of time for Valentines. Please let me know if I can include a gift message. I set up a shop through Etsy and my shop name is Paintandsimple if the links don’t work for you.